Tobocman is also director of Global Detroit, an economic development group focused on empowering immigrant communities in that city. 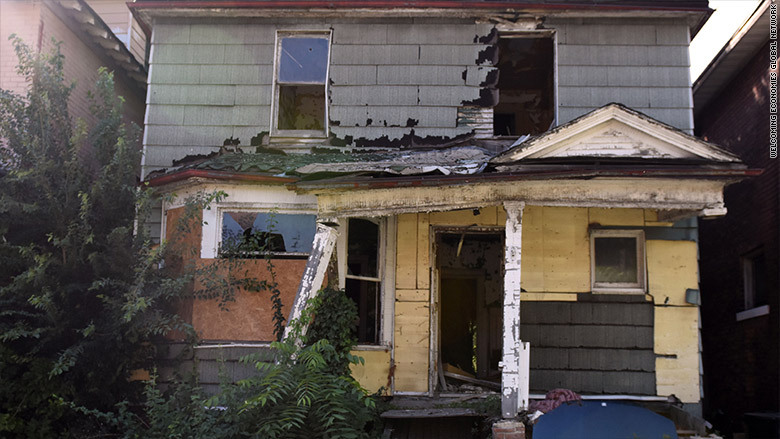 In Detroit, there are about 80,000 properties -- or a quarter of the city -- held by the city's landbank, Tobocman said. Researchers discovered that 209 out of 1,000 immigrant households could be eligible to buy a $50,000 home. That's better than the 152 out of 1,000 U.S.-born white households and the 162 per 1,000 U.S.-born black households that could qualify to buy a home at that price. The research was used to create an online interactive tool to measure how many potential households currently living in each city could qualify for distressed home ownership. The annual income needed to purchase a $50,000 distressed property in Detroit is $25,000, according to the tool, which also shows some of the annual costs of owning the distressed property, including mortgage, insurance, water and fuel. For the past year, Global Detroit has been facilitating the distressed home buying process for immigrants. 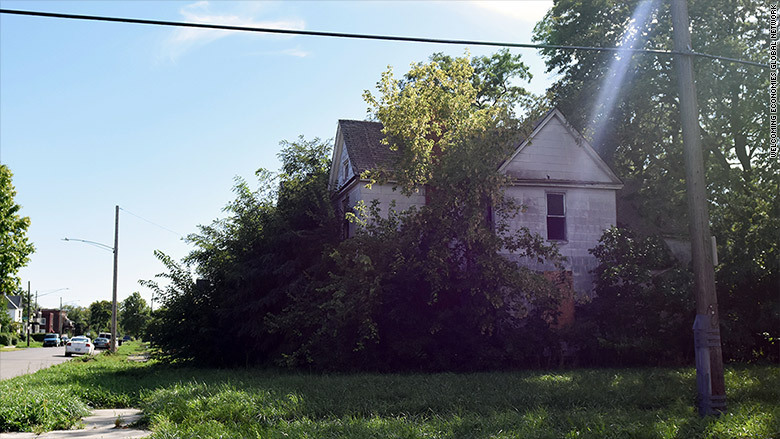 "We've now completed a dozen vacant home purchases in Detroit and those have all been for less than $5,000 and a lot of these people have been fixing them up through their own sweat equity," Tobocman said. According to the Fiscal Policy Institute, between 1960 and 1980, 29 of the 30 largest American cities had population declines. Since then, the population in more than half these cities has rebounded. "There isn't a single great American city that has rebounded in population growth without immigrants," Tobocman said. Immigrants who become homeowners bring in tax revenue, fix up abandoned homes and encourage economic growth. Sergio Martinez, 28, who is originally from Mexico, bought an abandoned house four years ago in Detroit's Mexican Town neighborhood. Martinez works as a restaurant manager near his home and loves being part of Detroit's revitalization. "There's so much diversity in the city. Close to me we have a huge Bengali, Mexican and Arab community," he said. "I grew up in the city. Back then things weren't as bad for immigrants." He says the house he bought has four bedrooms and a full basement and cost less than $10,000. Since he purchased it he's bought a new kitchen, redone the floors and is in the process of remodeling the bathroom. Martinez was lucky. A friend helped him organize the paperwork he needed and he had some help from his dad with the down payment. For low-income households, having a down payment is a significant challenge. Plus, getting a mortgage for a distressed property is difficult and newcomers often have problems with a lack of credit history or identification. "The average resident in Detroit doesn't have access to the information needed to buy a home," he said. 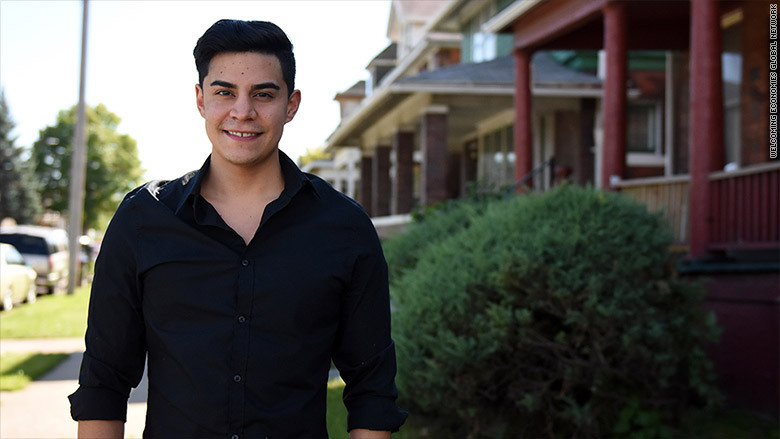 Martinez, who arrived as a 5-year-old without documents and is currently protected by Deferred Action for Childhood Arrivals (DACA), ran into a wall recently when he tried to purchase a second home in Detroit. Because of Michigan's "Real ID" law, which requires a Social Security number or proof of citizenship, he has been unable to renew his expired state identification -- and was denied a mortgage because of it. One of the homes on Sergio Martinez' block that he would like to remodel. 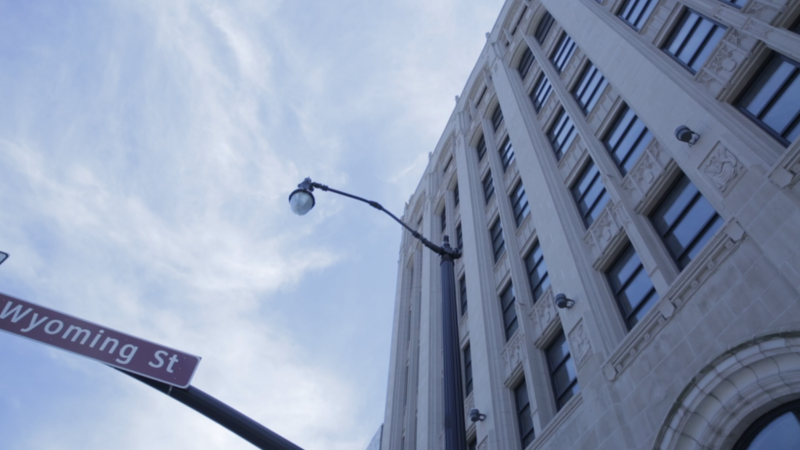 Detroit's city council recently approved the creation of a municipal ID card. It will help immigrants and others open bank accounts, gain entry to museums and access other social services. People can begin enrolling for the cards in November. "Once I get that, I'm going to try again," Martinez said.